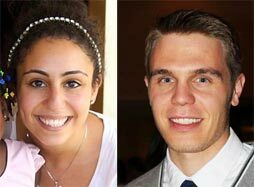 Nada Gawad and Michael Bond are preclerkship medical students actively committed to careers in Surgery. Teaching medical students about surgery is one of our most important opportunities and we should pay particular attention to their wants and needs. Our students are deciding early about their future careers and they need early active learning in surgery to try on the technology, culture and values of the surgical profession. Working with a team of nurse practitioners, social workers, psychiatrists, internists and dietitians, surgeons in Toronto have been developing an integrated bariatric surgery program that is having remarkable success in controlling diabetes. Abdallah Daar and Peter Singer launched a campaign to bring the innovations of the genomics revolution to the developing world. The Grandest Challenge: Taking Life - Saving Science from Lab to Village documents their remarkable experience with The Gates Foundation, who asked for their advice on how best to address the problem. George Christakis and Shibu Thomas take the helm. Visiting Professor Justin Dimick takes a “Moneyball” approach to analyzing surgical outcomes. Subodh Verma (CardSurg), in a collaboration between St. Michael’s Hospital and King Saud University received a joint U.S. patent entitled: "Method for Preventing and Treating Cardiovascular Diseases with BRCA1". Lee Errett (CardioSurg) was named the Honorary Chair, Shandong University Cardiac Research Centre, Jinan, Shandong Province CHINA for assisting in the development and creation of its cardiac surgery program. Mingyao Liu (ThorSurg) was awarded a 5-year Canadian Institutes of Health Research (CIHR) Grant for the project entitled "Acute lung injury: from cellular mechanisms to molecular therapies" (2011 - 2016).